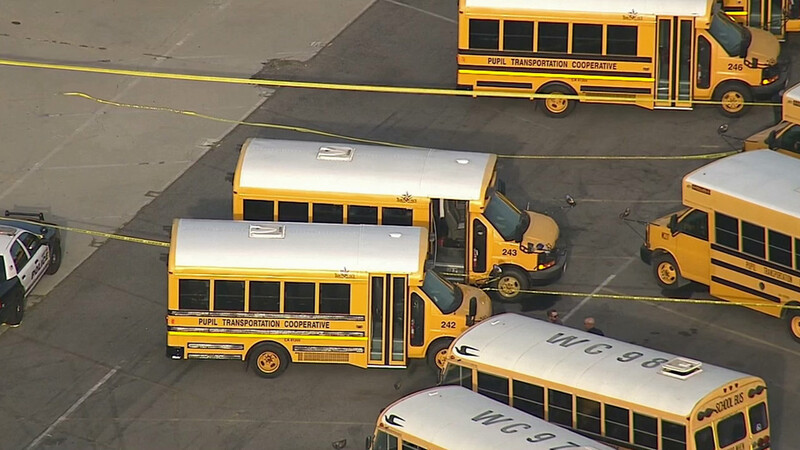 WHITTIER, Calif. -- A 19-year-old special-needs student was found dead inside of a school bus that was parked at a Whittier school district parking lot Friday afternoon. The incident was initially reported as a person in full cardiac arrest around 4:25 p.m. The man's body was found in a bus parked in a Whittier Union High School District parking lot, located in the 9400 block of Greenleaf Avenue. The bus the man was found in is owned by a private company. When the bus driver checked the back of the vehicle, he found the student unresponsive and quickly called 911. The student attended Sierra Educational Center and was part of the transitional program. The school district's Superintendent Sandy Thorstenson released a statement. "This tragedy has devastated all of us...our hearts are with our student's parents and family - we're all grieving," the statement said. "We're making ourselves, our counseling services and our staff available to his family and to our students and staff who were close to him. The victim's identity will not be released until next of kin is notified. Authorities were investigating the incident.